Mess is a video and 4-channel sound installation that has no beginning or end. 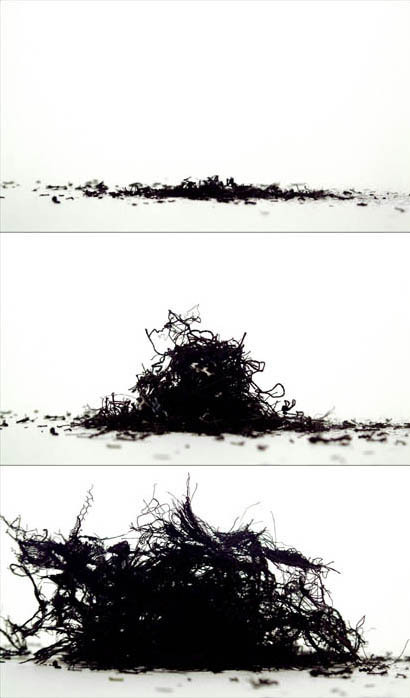 It was created through stop-motion animation utilizing thread, hair, and lace fragments. The hand processing of both animation and textiles displays aspects of foible, imperfection, and irregularity. The motion and aural environment suggest aggression and accident - mess from devastation, rubble from the built environment, and a cycle of reformation.